With this Bubba Basic spring-loaded sidewalk sign, your message will weather any storm. Catch the eye of customers caught outside with a sidewalk sign proclaiming shelter along with your daily specials. 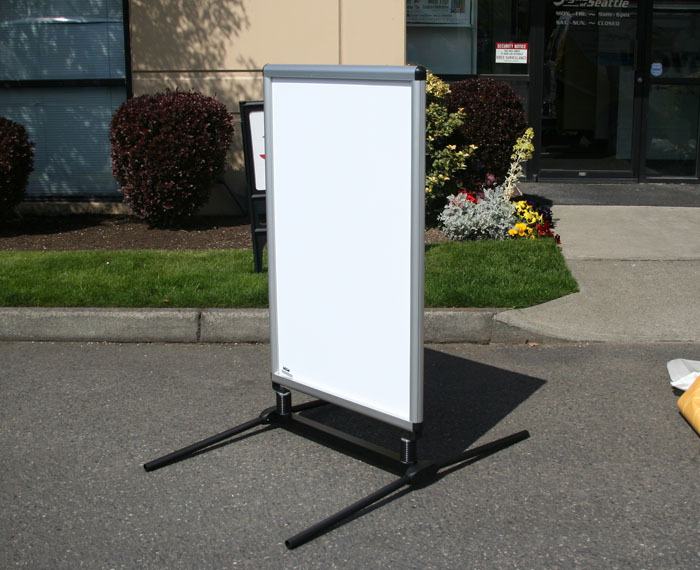 Even in sunny weather this A-board sidewalk sign will display sales, attract attention and bring in business off the sidewalk from all the way down the block. 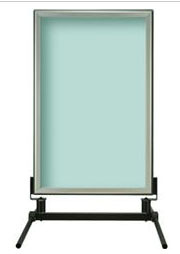 Changing your message easily and often is made simple with a snap-open frame. The spring-loaded, rust resistant steel base can be filled with water weight to hold it in place and is mounted on wheels to make placing your sidewalk sign hassle-free. The Bubba Basic spring-loaded sidewalk sign turns the area in front of your business into an extension of your business. 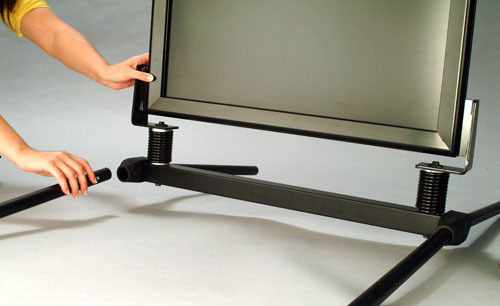 Choose from a satin silver or glossy black frame spring-loaded onto a black base.